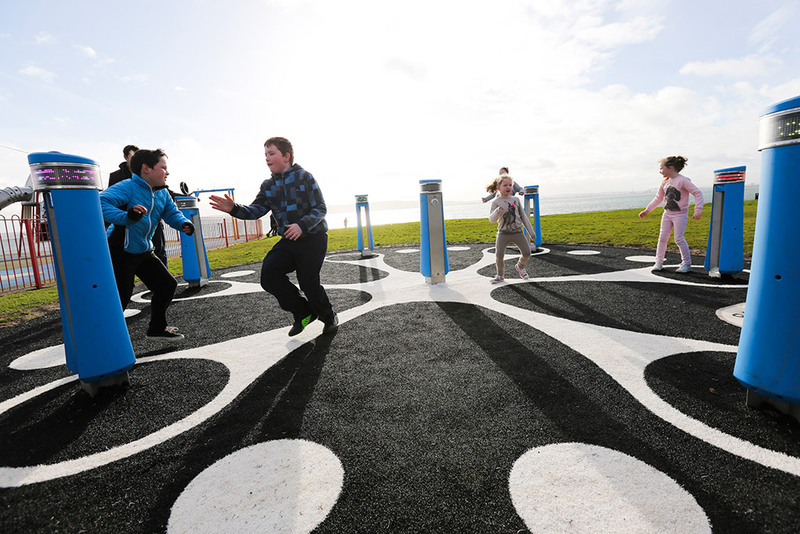 Ulster University and Newtownabbey Council together carried out a needs analysis with regards to play equipment in the area. A number of user consultation events were held in public areas with local residents. Further engagement activities were held in local primary schools with children who were asked to provide their opinion in art form. Additional drop in and draw sessions were held at existing leisure centres in the area, where children were asked to design their perfect adventure as input for a new theme park. More than hundred entries were received from children aged 4–14. A professional artist was commissioned to review the entries and to summarise the ideas in art format. Consulting the children was done in cooperation with Fenne van Doorn, a PhD candidate within the ProFit project at TU Delft who used the data for her research.